The most important work you can do...is on yourself. There are lots of names for it. Plenty of ways to describe it. But let's back up a second and start at the beginning. "An Introduction to Inner Work" is an online course brought to you by...well, us: the trusty, cuddly, moderately dashing-yet-approachable, ever-vigilant folks behind LiveReal. So, what the heck is this course about? 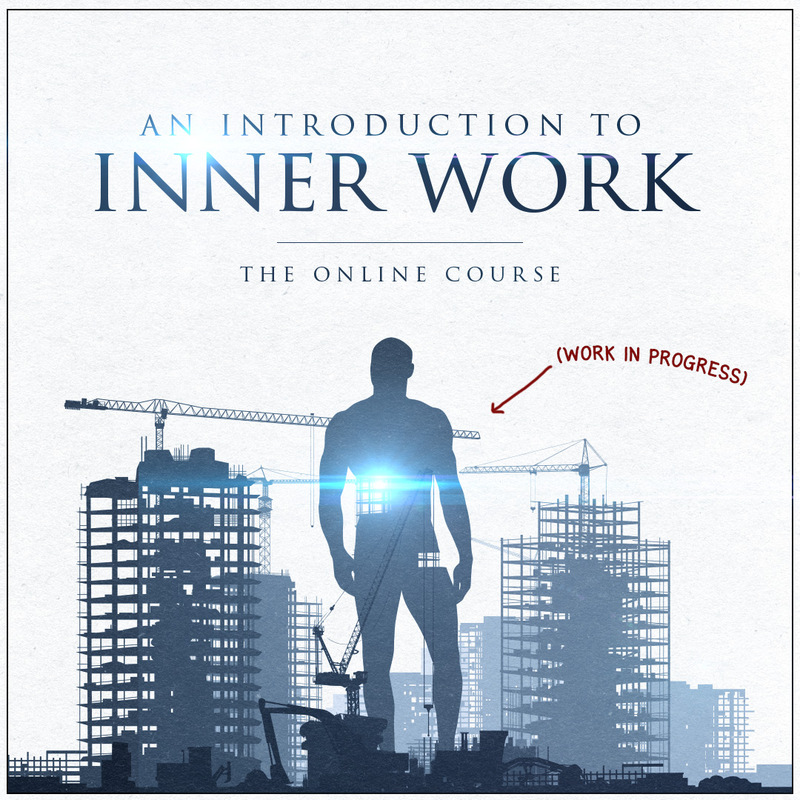 "Inner Work" as we describe it here is "working on yourself." But how? How do you get to really "know thyself"? Our answer is, well, Inner Work. Chances are, you're already doing some form of Inner Work, whether you call it that or not. Honestly, we almost all have at least a rough sense of what it means to "work on yourself." If you suspect it's something like, well, trying to sort yourself out, understand yourself, work on your own issues, pop the hood of yourself and take a look at what's inside...then, yes, that's exactly it. It's working to know ourselves, improve ourselves, understand ourselves, figure ourselves out, but in a systematic, organized, researched, methodological way. From the latest science to the oldest wisdom we know of, we search anywhere and everywhere to find nuggets of wisdom to help us "elevate our life by conscious endeavor." It's a nuts-and-bolts, no-nonsense, practical, see-for-yourself guidebook for sorting yourself out. We could call it the "Central Sane Activity" (to borrow a phrase from Peter Watson), at least the way we're thinking about it here. If the phrase "Know Thyself" appeals to you, this explores the "how." So, what's in the course? Here's a partial Table of Contents. A Basic Introduction to "Inner Work"
A Basic Introduction to "Peak Experiences"
To be clear: it's not currently video or audio. In its current form, it's content that is 1) digital (online), and 2) a downloadable pdf that you can read as one single document or print. The pdf by itself is ____ pages. There's a really clear and handy Table of Contents that allows you read everything in order or skip around if that's your style. Glad you asked. We're the folks behind this humble little website. We've been exploring and digging into this stuff for decades. Along the way, we've mapped out a few pot holes, sand traps, and hornet's nests. We don't claim to have all the answers - we're honestly a bit suspicious of folks who do - but we can sometimes help folks avoid a prickly briar patch or two. We'd recommend poking around the site. If you dig the cut of our jib, and can get a sense of where we're coming from...well, this course is where things get more meaty. We dig a bit deeper here & delve into some of the more advanced material that we don't really get into in the rest of the site. 1) You can buy the course by itself for $245. You can order the course by itself here. 2) You can become a LiveReal Patron/Member for $9.95/month. This also gives you access to our Member Discussion Board / Watering Hole where you can hang out with other folks who are interested in this stuff. You can cancel whenever you want. To become a LiveReal Member / Patron, go here. So, why should I get the course for $245 when I can get it for $9.95 a month? The idea is that the community of folks who are interested in this stuff becomes your favorite part of the experience. But if you know you won't be interested in that, and only want a one-time thing instead of an ongoing monthly thing, well, #1 might make more sense. Plus, you get access to the community. Part of the reason for the course is to help gather folks who are interested in the stuff into one place. Like-minded folks can compare notes, share tips, and swap stories in ways that can save you a ton of time, energy, and confusion. We feature a members-only, private discussion board where folks can meet, get to know each other, and hopefully, help each other figure a few things out. Yes. Option 1 (the $245 course) has a 30-day money-back guarantee. For Option 2, you can cancel at any time. If for some reason you decide you hate us and want to cancel within your first 30 days, and you want a refund, no problem. Just let us know. Aren't you supposed to say "Act now!" "This offer expires in 2 days!" and stuff like that? Yes, we're supposed to do that. But well, we aren't. We aren't going to hype this up. We've tried to just present this in a good old-fashioned way that's fair and honest, without hype or trying to push psychological buttons. So, if this sounds good to you, then well, grab life by the loins and jump in. If it doesn't, no problem. Wait - I thought you were the one asking the questions. But that wasn't a question. Umm, no it wasn't. And neither was that last one. I want to take a look at this course, and see if there's anything interesting in there. Sounds good. So, what do I do again? Order the course by itself here, or become a Member / Patron here. Any questions, concerns, comments or glowing praise, feel free to reach out to us here.